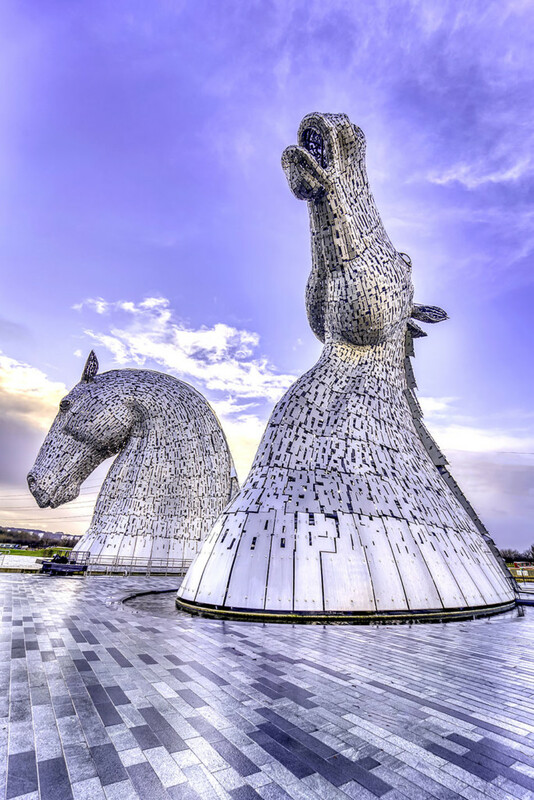 I was surprised, being in Edinburgh and never heard about “The Kelpies” before. My wife and I have seen it in a brochure on the breakfast table. Immediately the program for the day was clear. I stuffed all my photo-equipment in my backpack, and after an hour we arrived at the sculptures. The rain has stopped, only a few tourists, so I could fully explore and shoot these 30-meter-high horse-heads constructed from stainless steel.